Yet we couldn’t fault him, because as a mere toddler he only wishes to emulate his parents, to enjoy what they enjoy and do what they do. His excessive devotion to the computer and the smartphone is not his problem – it’s his parents’ problem. His crying and screaming are a rebuke to the idiot parents who expect their son to do what they do and enjoy what they enjoy only when it suits them; parents who want their child to live a happy and balanced life despite their own imbalanced habits. I know a few people involved in CrossFit competitions, and having seen what they’re capable of, I have to admit I’m impressed. The CrossFit principle of “constantly varied functional movements executed at high intensity across broad modal and time domains” supposedly avoids the pitfalls of specialisation in more traditional forms of fitness and sport. For example, no matter how good I am at kung fu, I might not be so good at doing chin-ups, rowing a boat, or running a moderate distance. Fitness is very narrow, as your body quickly and efficiently adjusts to whatever specific activity you are doing. Which is why I think we need a new discipline for parents, which I’ll call ‘DadFit’. DadFit recognises that parenting requires a unique subset of physical fitness, a blend of endurance and strength rarely seen in more traditional forms of exercise. – Carrying a 12kg toddler in both ‘squirming’ and ‘dead weight’ modes at randomly varying intervals over a distance categorised as ‘further than I realised’. – Getting in and out of a car with 12kg toddler, nappy bag, toddler’s shoes, a ball, and three bags of groceries. – Gently lowering a semi-somnolent toddler onto his bed without waking the child or crippling one’s back. – Removing a screaming toddler in full tantrum from a public place while maintaining a vestige of dignity. What truly sets DadFit apart from other exercise regimes is that DadFit is trained under very particular conditions. Firstly, DadFit must be performed within the haze of debilitating long-term sleep deprivation. Secondly, while DadFit exercises are timed, it is important that competitors feel they might go on forever. Thirdly, while other exercise regimes are typically performed according to strict standards with impartial oversight, DadFit exercises take place in a condition of complete existential doubt. At no time should DadFit competitors have any confidence that they are performing the exercise correctly. There is of course a corresponding ‘MumFit’, but it’s not for the faint of heart. I hear the warm-up alone takes a good nine months. A fence in a Japanese Buddhist temple. Nothing Daoist about it! Raising a child is admittedly very frustrating, and I worry that I am not doing it right, that I am not a good influence on my child, that he might turn out like a more deficient version of me. For example, our son loves the computer and wants to play with it constantly. I worry that this is not a healthy pastime, that it may be inculcating an excessive reliance on the high artifice of technology, maybe even harming his neurological development. But its not simply that computers and smartphones are attractive to him – he also sees that his parents spend an inordinate amount of time working, communicating, and playing on them. So immediately we encounter the parental double-standard: I want him to “do as I say, not as I do”; I want him to behave contrary to the model I am providing. If it’s unhealthy for him, isn’t it unhealthy for me? Or if it’s okay for me, shouldn’t it be okay for him as well? I think this example reflects a deeper awareness that our lives are not as they should be. We do not live in a paradisiacal state, yet this is what my idealism pushes me towards. So when my son starts to throw a tantrum because I won’t let him play with the computer while I try to work on my PhD, I cannot shake the sense that something is going wrong. Ideally he would not be throwing tantrums, but I’m not sure that the problem lies in him. He is, after all, an innocent child, and the real cause of the tantrum is that he’s presented with an enticing object (the computer) to which his parents are clearly devoted, yet he is not allowed to join in the very interesting activities of hitting buttons and moving the mouse and making the screen do interesting things. As a parent, I wouldn’t show my child enticing food if I didn’t intend to feed it to him. Yet showing him the computer but not letting him play is akin to showing him food and not letting him eat it. His behaviour is quite natural; is mine? The Daoist approach – indeed much of Chinese thought in general – is preoccupied with the idea of the natural. Natural is generally superior to the artificial, since it is in our nature as human beings that we find our virtue, our power. From the Daoist point of view an innocent child exemplifies nature. He is uncontrived, he does not plot and plan, he does not act according to elaborate schemes. He eats when he is hungry and (largely) sleeps when he is tired. He doesn’t harm himself by pursuing strange and inordinate desires contrary to his nature. The child is reminiscent of the sage. Or at least he is until he starts throwing tantrums when he doesn’t get his own way; and in this we find an example in miniature of the broader Daoist perspective on human life. Our instinctive response to a child throwing a tantrum is to make him stop, raise our voices, tell him off, or distract him. We would institute rules and discipline to teach the child not to play with the computer. We would erect artificial boundaries to stop the child from doing what comes naturally: emulating his parents. It is I, rather than my son, who “is not as he should be”, and all my undertakings – my efforts to impose discipline and better behaviour in him – will not improve the situation. After all, if I am not addressing the root of the problem, I can only add to the dysfunction. He is already responding naturally to an unnatural situation; my attempts to change his behaviour directly can only result in him responding unnaturally to an unnatural situation. I think the better solution is to be open to rethinking our way of life right to the core. Giving up employment has been a good first step, but our lives are still unbalanced and far from what they should be. The Daoist ideal is to put things right, which means putting things back in accord with our underlying nature, removing the obstacles and impediments, the desires and schemes which constitute our departure from the way. In the light of the eternity of the end. Every relationship between individuals bears within it the danger that wrong turns may be taken, leading to endless misunderstandings and disagreements. Therefore it is necessary constantly to remain mindful of the end.If we permit ourselves to drift along, we come together and are parted again as the day may determine. If on the other hand a man fixes his mind on an end that endures, he will succeed in avoiding the reefs that confront the closer relationships of people. What this signifies is that our interactions as parents with our children must be coloured and shaped by ‘the end’, which in this instance can be none other than the development of a strong and secure bond of affection. If we lose sight of this end, we will be lost amidst worries and concerns, doubts and uncertainties. But if instead we are always mindful of the end, though we may not know how things will ultimately turn out, we can at least be sure of the affection we have nurtured and developed. I think this has to be the way forward: I will surely make mistakes, but so long as I am mindful of the ideal – a loving, enduring relationship with my son – I will have done at least one thing right. My wife listens to K-Pop (Korean pop) which means our toddler son also listens to K-Pop. His all-time favourite is ‘Bar Bar Bar’ by Crayon Pop. Just to be clear, our son speaks Korean about as well as his parents do, which is to say not at all (Correction: my wife knows two phrases and half a dozen random words). Despite appearance, Crayon Pop is not a children’s group. Just part of the weird and wonderful world of the Korean mainstream entertainment industry. I’ve mentioned elsewhere that I’m balancing freelance writing with PhD studies and an eighteen-month-old son. That’s three part-time activities which, I suspect, potentially add up to more than one full-time life. It’s all held together at present in a state of delicate balance, easily thrown out by the slightest change. If, for example, my wife gets an extra day of work one week, I pick up an extra day of caring for our son – an activity that dominates and drives out all other thoughts. This past week I’ve effectively had three days of child-care. My studies are likewise susceptible to dramatic challenges and change: for the past six months or so I’ve been reading and commenting on a history of free will from Aristotle to Augustine. It’s an excellent book. 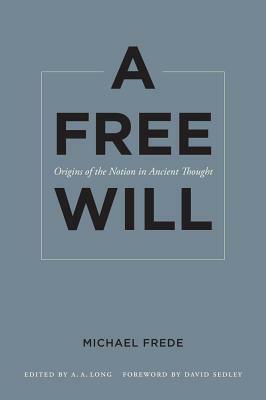 The author delves into the origins of the ‘free will’ notion, overturning in the process some long established conventions. He shows that Aristotle did not have a notion of the free will, the idea instead originating in Stoicism and subsequently read back into Aristotle by later generations. Frede challenges the received wisdom that St Augustine was the original source of a ‘new’ free will concept, showing instead that Augustine’s view is largely derivative of the contemporary Stoic perspective. For example, Augustine’s strong dichotomy of the free versus the enslaved; the idea that though we are still responsible for our exercise of will we are nonetheless no longer free; the view that God has the ability to arrange things such that He can direct our unfree will; all of these are present in the Stoicism that pervaded the Roman world in Augustine’s time. I’m still not clear on the context and implications of all this, but it is startling to recognise how deep an influence Stoicism has had on the development of Christian thought. 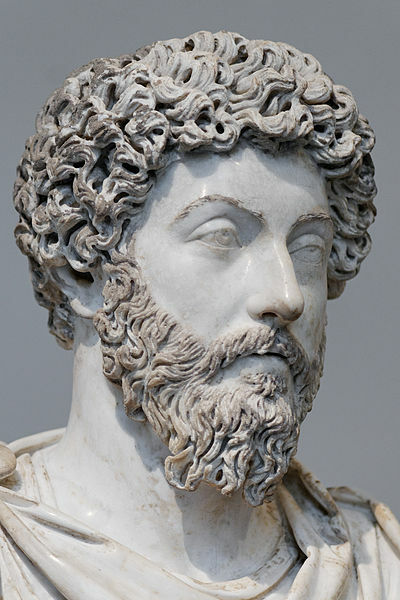 It is not unusual to see Western Civilisation as a Judeo-Christian-Hellenic composite, but it was not clear to me how influential Stoicism in particular had been. One might almost wonder whether Christianity took on board Stoicism, or Stoicism took up Christianity. Frede’s text is scholarly and not light reading, but I’ve learned a great deal from it and will undoubtedly continue to refer back to his work as I progress. But having recently reached the end of the book, I now have to progress on my own through the continued free will debate. Instead of having that path clearly marked by such a prestigious scholar as Frede, I’m now proceeding one step at a time, testing the ground as I go. This stage is far more challenging, mostly because this entire PhD project is full of uncertainty. As a student, one is in the position of not knowing the final outcome, what one’s final work will look like, or even the direction in which it will turn. It’s particularly hard for me, I believe, as a melancholic to determine the ‘ideal’ level of detail or amount of effort to dedicate to any particular step. So as I move on to Thomas Aquinas’ theory of free will, I’m learning the limitations of my own knowledge, but also the limits of intellectual habits: second-guessing myself is an unacceptable delay when there is so much work still to be done. Likewise, my desire to get right to the very heart, or to the roots of each question is impossibly idealistic. I do not have time to learn ancient Greek and master Aristotle; I must learn to rely on the work of other scholars, even if this leaves me with a sense of doubt. Ultimately, as my supervisor reassured me, it isn’t my job to master all these topics, but to gain a working knowledge of the Western free will debate, in order to apply its lessons to the less familiar context of the Chinese philosophers. Juggling these three part-time occupations will always provide a challenge, and I have to prioritise the duties of a stay-at-home dad over the responsibilities of a PhD student, over the opportunities of a freelance writer. But even in this order of priorities new challenges and possibilities emerge. I can’t get my son to help me with my PhD, and I can’t turn my PhD into a study of child development, but I can write more about my PhD and my experiences as a stay-at-home dad on this blog and in my articles. This morning I managed to give myself a migraine. At first I thought my eyes were just a little blurry from sleep. I was reading the news online, but there was something wrong with the text. Soon a ‘crack’ appeared to my left, hovering in space and moving gradually forward, like a kaleidoscopic worm made of bees. The proper name for this is an ‘aura‘, which gives entirely the wrong impression. It should be called ‘a visual representation of the pain you are about to experience’, or ‘doom vision’; something like that. Fortunately I knew exactly what it was, and why I was experiencing it. The past month or so I’ve been struggling with the self-imposed pressures of being a freelance writer. I made myself sick within a couple of weeks through the simple thought that every moment I wasn’t writing was a moment wasted. Eventually I realised what was going on and recalibrated my sense of urgency. I don’t after all, have to write an article every 1.5 days. To do so is neither feasible nor desirable. Even 1 per week would be a vast improvement on my previous output, and a sustainable increase in my freelance career. But last week the situation changed again, as my wife was offered a day per week of work at her old job. I ended up looking after our son for the day and a half that she was busy, thus cementing my role as part-time stay-at-home dad. It turns out that looking after an eighteen month old is one of the most exhausting things I have ever experienced in my life. Without sounding like it ought to, being alone in the house with my son for so long left me mentally exhausted. I don’t know how my wife managed to do it while I was working, though I now understand why I typically had to pick her up off the floor by the end of each day. So with my wife out of the house for one or so days this week, I added another ingredient to the strange part-time stew I’m cooking. I’m now trying to balance being a part-time freelance writer, a part-time PhD student, and a part-time stay-at-home dad. Thus far they add up to more than a full-time load hence my lack of activity on the writing and the PhD front this past week, hence my all-consuming sense of urgency to nonetheless get ‘something’ done, hence my fruitless staring at the computer screen first-thing this morning, and hence, I believe, the premonition of cranial catastrophe that followed. Fortunately, knowing the cause meant I could immediately drink some water, go lie down, and tell myself reassuring things like that it doesn’t actually matter whether or not I have an article published this week, that looking after our son is a far greater challenge and will take some getting used to, and that these are still early days, and we have much to learn toward building a life that is as good as we would like it to be.